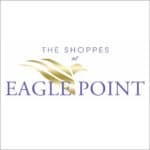 It’s been more than four years since the eagerly-anticipated Shoppes at Eagle Point was first discussed. Tuesday afternoon, city and county leaders, along with the developers, gathered for the official groundbreaking, even though work on the project on Interstate Drive began more than a month ago. “This is a perfect example of teamwork, tenacity and commitment,” Melinda Keifer, economic development coordinator with the City of Cookeville, said. 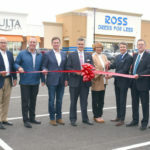 The project, which has an anticipated opening date of fall 2018, includes anchors Publix grocery store and Academy Sports + Outdoors, along with PetSmart, Panera Bread, Chipotle, Shoe Carnival, Five Below, Ulta Cosmetics and Ross Dress for Less. More stores and restaurants will be announced as the leases are finalized. It is anticipated to create 600 new jobs and bring $2.4 million annually in sales tax revenue. Cookeville Mayor Ricky Shelton said this is a win-win for everyone. Everyone thanked the developers for sticking with the project, even with all the delays.